Recently Redwood Plastics Corporation and Strongwell, the world’s largest producer of pultruded materials, signed a distributorship agreement. 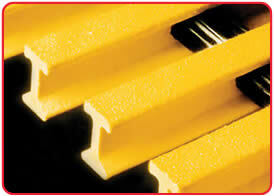 This has greatly expanded Redwood’s Fiberglass Reinforced Plastic (FRP) product lineup. The pultrusion process allows for materials to be produced in almost unlimited lengths, limited only by the application and freight restrictions. With the number of new products available we wanted to draw attention to a few highlights. Redco™ SAFRAIL™ fiberglass handrails is a pultruded product suitable for a wide variety of industrial applications. SAFRAIL™ meets OSHA strength requirements and provides a 2:1 safety ratio. Redco™ SAFRAIL™ is particularly well suited to corrosive environments where liquid or airborne corrosive agents, such as salt, may be present. 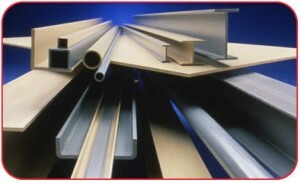 The product outlasts other metals including aluminum and is non-conductive and maintenance free. SAFRAIL™ is easy to install with its internally bonded fiberglass connectors meaning no visible rivets or metal parts. Redco™ DURADEK® is a standard pultruded grating system that offers numerous advantages over traditional metal materials. 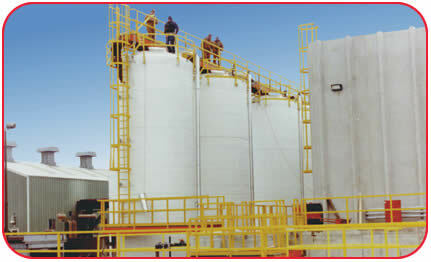 Like other FRP materials, Redco™ DURADEK® is corrosion-resistant, non-conductive, and maintenance free. The product is flame-retardant and securely bonded with a proprietary method utilizing a 3-piece cross-rod system. Redco™ DURADEK® has been successfully used in various industrial applications, notably in marine and waste treatment. The grating is available in both polyester and vinyl ester resins and includes a synthetic surfacing veil for increased UV and corrosion resistance. Redco™ EXTREN® is a series of fiberglass reinforced building shapes and structures available in over 100 standard dimensions. Its properties include high strength, lightweight, corrosion resistance, low thermal and electrical conductivity and electromagnetic transparency. That electromagnetic transparency property of Redco™ EXTREN® makes the material especially suited for applications such as cell phone towers or buildings involved in the scientific testing of systems like radar. Redco™ EXTREN® is available in three grades: Series 500 (polyester resin with UV resistance), Series 525 (polyester resin with increased flame-retardant properties) and the Series 625 (Vinyl Ester resin with premium fire retardant and corrosion resistance properties). For more information on Redwood’s exciting new line of FRP materials check out: http://www.redwoodplastics.com/products/frp-fiberglass-reinforced-plastics/ or contact us today. EXTREN®, DURADEK® and SAFRAIL™ are registered trademarks of the Strongwell Corporation.